Welp, I’ve been here in Sydney more than week now, and I’ve still got three days to go! So far, the trip has everything I expected or could hope for … and more! There has been a lot of awesome photography, of course, but most importantly, I’ve achieved my goal of completely shedding the coat of the stress I was under in the month leading up to this trip. As I had said in my earlier posting, things were getting quite heavy as all the worries of work and money and health and life in general had really begun to pile up. But it didn’t take long for all of that to just slip away. It’s actually amazing how easily it all became a distant memory, soon replaced by long, languid days of doing whatever I want whenever I want, being responsible to nobody but myself. Long gone were the deadlines and constant attention to work and bills and social and professional obligations. If it sounds like a dream world, it is, and it’s the best place to be right now! The sense of peace of mind and relaxation I’ve achieved is just amazing! A little backstory: at home I’m very much a creature of habit, and for better or worse, my life can often seem nondescript as I sometimes become a slave to my routine. Born under the sign of Cancer, that kind of familiarity can be comforting and when I’m home I sometimes don’t even notice that I always get up at the same time, eat breakfast and lunch at the same time, go to the gym at the same time, eat dinner at the same time and go to bed at 10:00 PM sharp so I can get up the next day and do it all over again. The Hero of Waterloo pub and hotel in Sydney’s The Rocks district. Built in 1843, it is one of two pubs that claim to be Sydney’s oldest. Don’t get me wrong. It’s not that my life is boring … far from it. In fact, sometimes it feels like I’m juggling too many plates, which can be a big part of the stress. But particularly from a professional basis, I’ve set up a structure for myself that works well for my life right now. Still, it is a routine like any other and as such it sometimes needs to be shattered. That’s what this trip is all about. Now I’m going to bed late and sleeping in late, and those are two luxuries I very rarely afford myself. The walls of my routine have crumbled, replaced by a completely liberating feeling of spontaneity. But one of the best part of this trip is that I’ve totally divorced myself from my phone! Unlike my last trips to Sydney, I didn’t buy a data roaming plan so I could use my iPhone (last time I did that I got a $500 bill once I got home … you burn through that roaming thing quicker than you think. Just push one pic through Facebook and you’ve used up half of it). So there have been no phone calls or texts to deal with, no feeling that I have to be in constant contact with people or be obligated to talk to people I might not necessarily want to talk to. At first, not constantly checking my phone for some call or message felt a little strange, but just like everything else on this trip, it now just seems like yet another needless part of the the life I’ve temporarily left behind, and it feels good not even having it in my pocket. That being said, it seems Sydneysiders are absolutely obsessed with their cell phones, to the point that they are always actively using them as they walk down the street, and not for talking. I don’t know if they’re texting or checking in with Facebook or playing games or whatever. So no one is paying attention to where they’re going since they’ve all got their noses stuck in the phone as they walk. The result, of course, is that everyone is not just walking into each other, but literally smashing into one another. It’s actually kind of ridiculous. If this were a cartoon you would hear nothing but the sound of bowling pins being knocked down. Last week, some friends of mine took me to a barbecue which was attended by about 20 people. At one point I looked around and three-quarters of the people in attendance were more focused on their phones than they were on the other people around them. At one point I was engaged in conversation with some dude, and his phone rang, and he said, “Oh, let me get this, mate.” And that was the end of the conversation. Weirder still, the guy who was hosting the party had the sound system feeding through his iPhone’s music collection, and every five minutes the music would fade and the sound of his ringtone would blare through the speakers. He, of course, had to disconnect the phone so he could answer it, and then hook it back up to the sound system when he was done. Until the next phone call, that is, which seemed to come at regular five-minute intervals, and that cycle continued the entire time I was there. Again, ridiculous. Sydneysiders’ slavish devotion to their phones is worse than my slavish devotion to my routine, and truth be told, it’s kind of a turn-off. Still, I’m not here to pass judgement, and it’s just another fabric of life in Sydney, so it’s all part of the experience. Still, sometimes I just want to shout out, “C’mon, mates. Hang up and become an active part of the amazing city you live in!” I know the same thing happens everywhere, but here it seems so much more exaggerated. Here are a few other observations about life in Sydney: like, what’s the deal with the coffee? Long black? Short white? What the heck does that even mean? And haven’t they ever heard of half and half? One might say that are a million Starbucks here where I might get an “American” version of coffee, but I refuse to drink their corporate swill. A real source of irritation here in Sydney is the traffic crosswalks. It seems like you just wait, and wait, and wait, and wait for the light to turn from green to red. I feel like I’ve spent half my time on this trip waiting at traffic lights! For a naturally impatient person like myself, it’s really annoying, and more than once I’ve just jaywalked. Hey, I’m a San Franciscan … that’s what we do. I also notice that Australians love to shorten words, and then end them with an O. So the suburb of Paddington becomes Paddo, a journalist is a journo, documentary is shortened to doco and the pharmacist can be a pharmo. My personal favorite, though, is the Salvation Army, which becomes the Salvo, of course. I like that … it’s very succinct. Another strange thing: a lot of the movies that have already run their course in the States are just opening here, and Sydneysiders are getting their first chance to see Lincoln, Silver Linings Playbook, Django Unchained, Zero Dark Thirty … I don’t know if Argo has even started playing here yet. And by the looks of advanced advertising, they’re just about to be subjected to Jack Reacher, the latest Tom Cruise stinker (or would that be stinko?) that no one went to see in America. More observations to come, but it’s Monday morning, 9 AM, and I’ve only get three days left, so it’s time to grab some brekkie (Aussie for breakfast, of course) and hit the streets with my trusty camera in hand. Hope you guys enjoy the pics I’ve posted so far. I’d like to post more, but I’m working off my iPad (I haven’t totally divorced myself from technology, and my iPod is my BFF as I walk, walk, walk, walk, walk over over this city), and posting from the WordPress app can be kind of wonky, picture-wise. But rest assured, blog friends, that I will be posting what I think will be an amazing gallery of pics from Sydney, 2013 … once I’m back in San Francisco, that is!!! PS – I might be changing the name of my blog from Stephen Kelly Creative to The Happiest Boy In The World, because that’s what I am right now. 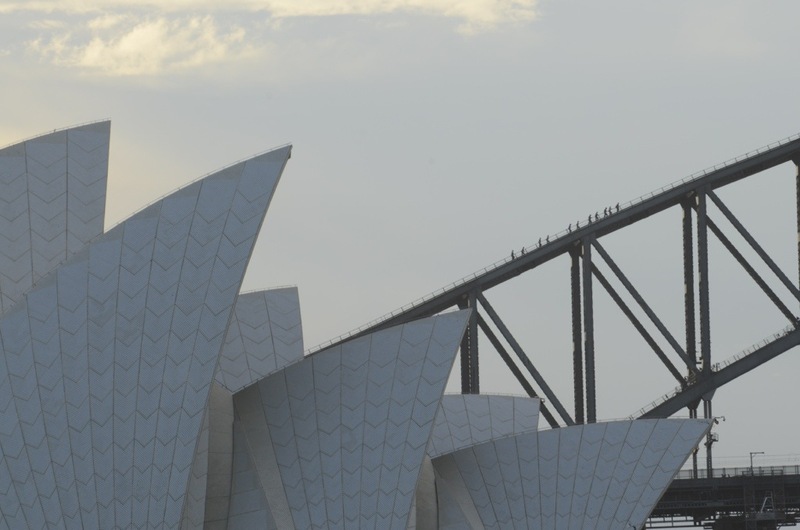 This entry was posted in Australia, Essays, Photography, Stephen Kelly Photography, Sydney, Thoughts and Musings, Travel and tagged Australia, New South Wales, Sydney, Sydney Harbour Bridge, Sydney Opera House. Bookmark the permalink. Sounds like a great trip – enjoy your last few days! Hi Green Study … and thanks!!! It’s now to two days, and I intend on enjoying every single second!!! Hi Mike … you should be! Kidding!!! If you’ve never been Down Under, what the heck are you waiting for? Once you get past the 14 hour flight, it’s amazing! Stephen, though I give due credit to Sydney, I think you’re “the happiest boy in the world” because you have so the capacity to make others happy. I don’t know how many times I’ve been having a sort of lousy day, and have felt better after looking through one of your art gallery posts, or your posts of other photos. So enjoy, but be sure and come back to us, we need you! G’day, Victoria. Wow … your comment struck me in a very profound way. I had no idea that my little blog brings people so much joy, and it makes me intensely happy to hear that I bring a little light to your world. My blog was originally intended to put my writing and photography out there (working out of my home as I do can be very isolating), but it’s obviously taken on a larger life and has headed in a happy direction that I never foresaw. I want to use this opportunity to thank you for your loyalty in following my blog … I always look forward to your stimulating comments, and truth be told, whenever I post one of my art galleries I always think, “I hope Victoria likes this one.” So thanks for inspiring me! After my Christmas extravaganzas I kind of burned out on my blog, and the intense amount of work I had before this trip also prevented me from being as consistent as I usually am. But, as I emphasized in this post, Sydney has totally recharged my creative batteries, and I can’t wait to dive right back into the blog pool once I get home. I’ve got lots of ideas for new blog features (think Green), and whereas I will be very sad to leave Sydney, I can’t wait to get back and tackle life with fresh confidence, creativity and energy! Better buckle up. It’s going to be a fun ride!!! Thanks, adinparadise! Everyone should visit Sydney/Australia at least once in their lives. It’s worth the 14 hour flight! The best part of vacation….doing whatever you want, when you want. And I LOVE the part of no phone! G’day, Angeline! OMG … it’s been wonderful! I threw my iPhone into my hotel room safe about a week ago, and it hasn’t seen the light of day since! It’s been intensely liberating!!! Thanks, ideflex! Consider the cobwebs officially cleared!!! Now get down here yourself! My own Miss Z is trying to get me to take a gap year with her – down under would definitely be on the list! It should be! 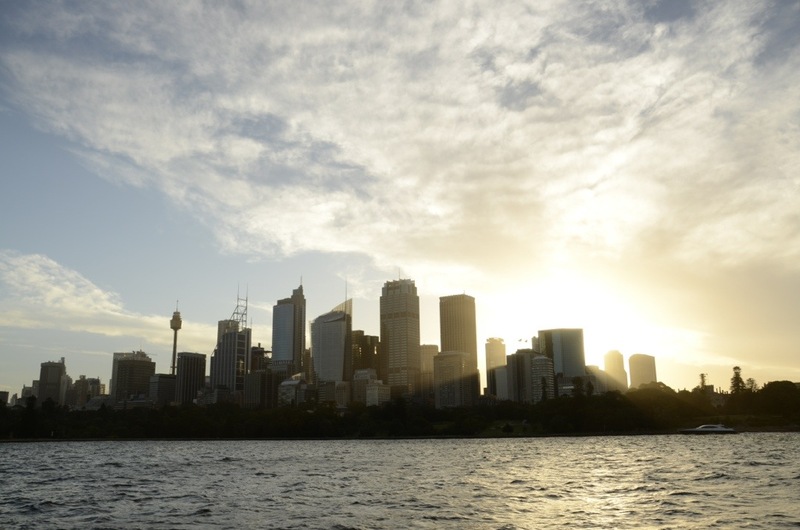 But if you’re thinking about it, plan your trip for between November and February for the optimum Sydney spring/summer weather (winters can be cold and really rainy). Once I get back I plan on posting a Visitor’s Guide To Sydney so I can share my insider’s tips on stuff like cheap eats, cool places that are off the touristy paths, and stuff like that. Cheers! It was a little of both. Sat and waited and waited and waited and just I was about to give up, along they came! This shot was actually taken from about a mile away, taken with my amazing new telephoto lens! REALLY enjoying my time here! You Aussies are very welcoming, friendly people! I’ve got what I think will be an amazing gallery coming up, especially since I’ve taken a lot more pics since I took these two. Can’t wait to share them with you!!! LOL!!! You’re on Impybat. I’ll smuggle you into the country in my luggage if we have to. Three words: Too. Much. Fun!!! Hi Stephen, sorry to hear that Sydney suburbanites have given us such a bad rep. If it’s any consolation I was out at a romantic dinner with my guy at a nice restaurant for Chinese New Year (and to my horror and other diners,) a girl (on a date) was watching TV from time to time on her iPhone. Definite height of rudeness and who would do that in a date! On a plus note, at least we can offer you some sunshine and warmth. Hopefully we’ve offered you some decent Sydney side food and hospitality beyond the bad though! Hi Alice! Please don’t get me wrong … I’ve always found Sydneysiders to be very friendly, welcoming, fun people, and I certainly mean no disrespect. Perhaps the cell phone addiction is just an indication of the way that society is heading, but there are always going to be those who take it to extremes. Like I said, though, it seems like the use of phones in Sydney is a lot more exaggerated than San Francisco, where thefts of mobile devices has up by 88% from last year. Maybe that’s why San Franciscans tend to keep them under wraps, and why it seems a little unusual to me to see such active use. Stephen, sounds like a wonderful trip and to turn off your phone is a fantastic idea! I love it. Hi Judy! Yep … it’s been a great trip, but I’m writing this from the airport lobby as I wait for my flight to depart Sydney (yay for free Wifi) … I guess all good things come to an end. The pics I’ve taken are amazing, and I can’t wait to share them with everyone. Throwing my iPhone into my room’s safe and leaving it there was great … made me remember a time before we all became slaves to our phones. I kind of don’t want to turn it back on when I get home, but I guess reality beckons!